When an ordinary kid learns he's the heir to a secret agent dynasty, F.A.L.C.O.N puts him on a case to protect a famous rock group and find a missing journalist. Before he knows it, Colt Shore has gone from body guard to rock star to full-fledged agent when he learns that a human trafficking ring plans to kidnap a group of teenage girls. It will take more than his ingenuity and skills and a couple of cool gadgets to protect his new friends and rescue the captured girls before it's too late. 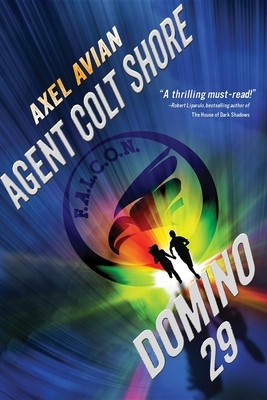 Axel Avian grew up in an organization not unlike FALCON in a town not unlike Springfield, Missouri. He has traveled the world for his work. To relax, he enjoys sky and scuba diving, hang gliding, rock climbing and snowboarding. He speaks four languages, reads whenever he can and routinely trounces opponents on video games. (Bring it.) He would also like to note that he is humble, easily amused and occasionally very funny.